A resume that was impressive five years ago likely looks antiquated today. Like clothing, resumes are subject to the current fashion of the day. As hiring mindsets change and our attitudes toward work shift, the types of resumes that appeal to hiring managers also fluctuate. These days, there's no such thing as a one-size-fits-all resume. A generic document that simply lists your previous dates of employment and earned degrees isn't likely to impress anyone. Your resume should reflect the position for which you are applying. Taking a strategic, tailored approach to resume writing shows employers that you have read the job description and understand the position's responsibilities. When you list your previous employers, try to highlight accomplishments and skills that would translate well in the new position. For instance, if you saved your previous employer money by writing a programing script, you could place emphasis on this achievement when applying to another programming position. As you adjust your resume for each new position, consider the type of language your prospective employer might use. Doing so shows the hiring manager that you would make a good fit for the company's culture. Use the organization's website to get a feel for the type of language it uses. For example, a startup might be more casual, compared to an international conglomerate. Placing your experience in reverse chronological order - with the most recent experience near the top of the page - ensures that your document is easy to understand. According to a report from The Ladders, hiring managers look at resumes for an average of six seconds before they decide to move forward with the candidates or disqualify them. Therefore, you want to make sure that the most recent and relevant information is highly visible. 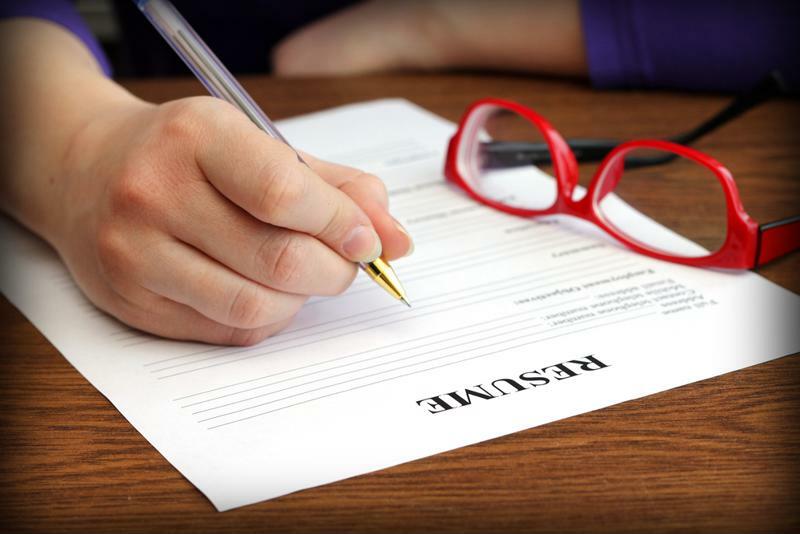 Every resume you send to prospective employers should be tailored to the new position. Though the words on the page are the most important part of a resume, you shouldn't neglect the document's design. If all of your text looks crowded and cramped on the page, it creates an uncomfortable reading experience. You don't want hiring managers to struggle to understand the flow of your resume. Opt for a minimalist design that makes the text easy to read at a glance. At the end of the day, all hiring managers are looking for the same thing - someone who can contribute. Therefore, your resume must show hiring managers that you understand the value of your work. Use examples - and dollar figures, where applicable - to demonstrate the worth of your abilities. "One of the things I consistently see in resumes is that most are lacking any real impact statements," says Dr. Jim Kanichirayil, Division Manager of Beacon Hill's Technologies Division in Milwaukee. "When coaching people on how to maximize their resume impact, I always advise folks to hone in on areas where they have driven revenue, driven growth, transformed their business unit, controlled costs, and/or completed a turnaround. These sorts of outcome-oriented statements in a resume will make a candidate stand out from the crowd. The volume of impact statements should also increase based on the seniority level of the candidate. I see a ton of director-level resumes that are filled with day-to-day, monotonous tasks. If you're struggling with how to incorporate impact statements into a resume, ask yourself 'how have I impacted the organization?' and then build your statements from there." Ideally, a resume should be no more than a single page in length. If you're an experienced professional who hasn't seen the inside of a classroom in over a decade, there's little sense in making your education the focal point of the document. Instead, list your degrees and graduation dates, then spend the majority of the resume describing your experiences and accomplishments in the working world. A resume is only a single tool in a job hunter's belt. For tailored advice on how to find the career path of your dreams, speak to an expert recruiter from Beacon Hill Staffing Group today.